Here's what you should know about Prime Medical Training: We are a Paramedic-owned company founded in 2013. It was evident there was a great need for quality education that engaged learners. We want students to leave more competent and professional than when they came to class, rather than just checking off the box. What started out as small operation out of a bachelor pad bedroom, Prime has now grown to be the premier organization in developing Instructors and Students, and offering a large variety of life-saving classes. Many individuals are not challenged and have become complacent and burned out. We want to bring a refreshing change to a stale industry. We believe that by developing and delivering high quality content, it will have a direct correlation on the quality and professionalism of the individuals in their workplace. We provide "Training for You, Training for Life!" Other companies talk a lot about quality training and fun classes. While that certainly is a factor of the experience you’ll have with Prime Medical Training, we prefer to have a more holistic approach to our customer’s experience that starts with their initial contact with our brand and continues on providing ongoing support and resources long after the class is over. The experience has been succinctly condensed into three main elements. The classes we offer are generally not high on the customer’s priority list…. that is until they’re about to expire. So, we’ve developed several systems to make finding and getting into a class easy and convenient for their schedule. By no means are our classes a walk in the park. They are meant to challenge our students and give them a sense that they earned their certification. However, the teaching methods we use make the concepts easy to comprehend which in turn leaves students with a higher level of confidence when students walk out of the classroom. Perhaps another word often times overused. So, allow us to explain how that applies to our company. Professionalism starts with your initial experience with our company. Maintaining a professional appearance on our website, our team members, and the classroom space are all important. Even more important is the professional conduct of our team. The Prime team always strives to provide solutions even if that solution isn’t us. How many times have you called or emailed someone only to never hear anything back? That dosen’t happen at Prime. If we’re not able to answer you immediately, you can always expect a response the same business day. Our customer’s needs are usually very time-sensitive, and we understand that. Even if a customer doesn’t leave a voice message, we return every missed call. We assume that if someone called it’s because they needed something, and we want to make sure that they get their answer. They have specific medical background to the subject they teach. For example, we won’t hire someone as CPR Instructor just because they’re a nurse. We would only accept a nurse with Emergency Medicine background. Character is the next criteria evaluated. We believe in hiring for character and teaching skill. Our instructors carry a high standard of integrity and are well respected among their peers. Their character has to be consistent throughout their personal and professional life. Personality is the third criteria. An instructors experience alone does not merit them the qualification to teach. Our instructors must be dynamic and personable in order to help our students feel comfortable and engaged. Simply stated, Prime is passionate about what we do. We’re very missional in all aspects of our business. From providing an outstanding experience, to helping saving lives, instilling a love for learning, and giving people a sense of pride in their profession. These are the intangible elements that give people the impression that Prime Medical Training is a unique organization. Everyone is invited to experience the Prime difference. Various classes are offered that meet the needs of individuals and organizations from every background. 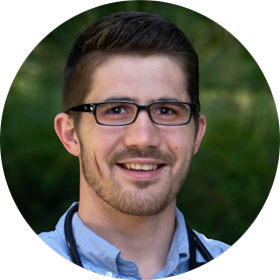 Andrew is the Founder and Executive Director of Prime Medical Training. He is also a Nationally Registered Paramedic. Andrew started Prime because of the pervasive lack of quality health and safety training. He believes any topic can be made interesting and fun with an instructor who knows how to skillfully tailor the material and engage the students. This passion and mindset is the driving core behind Prime. Andrew strives to instill in students a sense of pride in their profession and love for learning. Aside from teaching, Andrew’s faith and church play a big role in his life, and he also enjoys backpacking, scuba diving, competing in triathlons, and international travel.